The United States Congress has designated March 25th of each year as National Medal of Honor Day, a day dedicated to Medal of Honor recipients. (Public Law 101-564) Conceived in the State of Washington, this holiday should be one of our most revered. Unfortunately, all too many Americans are not even aware of its existence. The date of March 25th was chosen to highlight this special day because it was on March 25, 1863, that the first Medals of Honor were presented...to six members of Andrews' Raiders. Fly Your Flag. Fly your flag with pride and patriotism on this day. Remember Our Heroes. As a gesture of your appreciation, why not take just a few moments in the week prior to National Medal of Honor Day to mail a "Thank You" card to one of our living Medal of Honor recipients. Inform Your Local Media. Most newspapers aren't even aware that this special day exists. Why not tip your local media to the occasion. 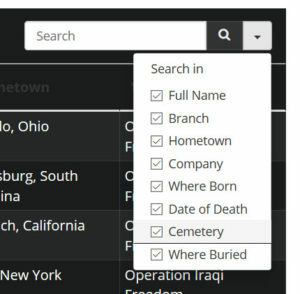 Before you do, check out our database for Medal of Honor recipients from your city and state as well as any who might be buried in your city. This information can give your media a "local angle" that can increase the probability that they will consider doing a story to remind Americans of our heroes. Schools. Consider doing something in your local schools, or even on a civic level, if there is a Medal of Honor recipient living near your location. Cemetery. If there is a Medal of Honor recipient buried in your hometown, get a school class, scout troop, or other youth organization to "adopt a grave site". Public Library. Tell the story of one of your State's Medal of Honor recipients at your public library.